Potato Head Bali is one of the mandatory destinations for tourists who want to watch the sunset. If you have holiday in Bali, do not miss the restaurant and bar in this place. Located on Petitenget street, Seminyak, Potato Head Bali offers a vintage-modern atmosphere is very thick. Designed by architect Indonesia, Andra Martin, the building is decorated by asymmetrical installation of hundreds of obsolete window, feature beach Petitenget incredible. 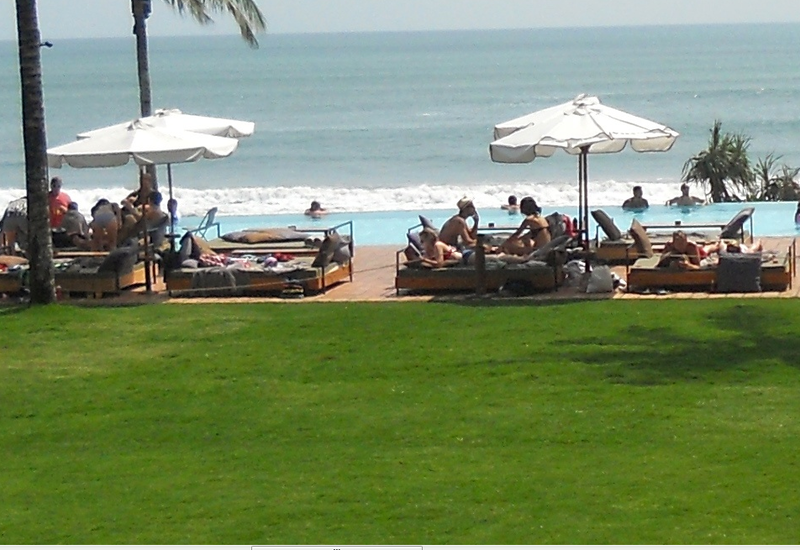 Potato Head Bali divided into several areas, among them the Bench, Bar Deck and Pool Side. 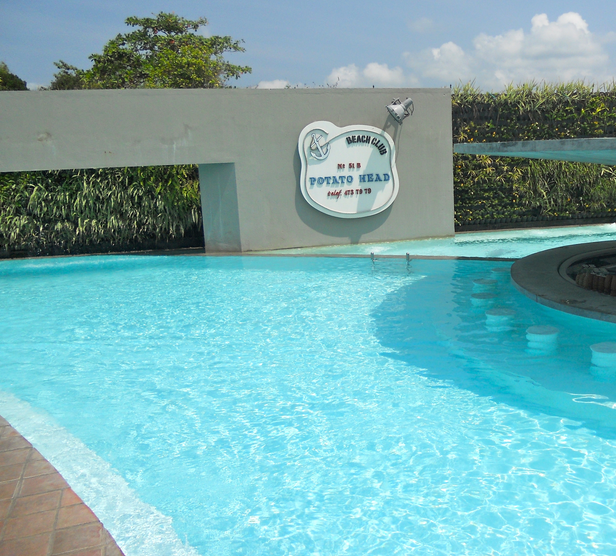 A place that was close to the pool and directly overlooking the beach. Because Pool Side is one of the areas with the best views, you will be charge a minimum purchase of 500 IDR if you want to sit in this area. The atmosphere is comfortable and the vintage so pronounced because of the use of wood flooring, furniture arrangement old-school style, as well as some decorations with a unique touch restaurant. To complement the relaxed atmosphere, the selection of soothing yet cheerful songs like, neo-soul, funk, boogie, makes the show relax at Potato Head Bali so much more special. The main meal, which is a mainstay Potato Head Bali is Beef Burger and Philly Steak Sandwich. As for the cocktails, the Bloody Mary Potato Head and Kookaburra, is the most ordered. The price offered for the food and beverage started from 35.000 IDR to 600.000 IDR. Conclusion, Potato Head Bali restaurant and bar is an interesting place due creative interior design plus with a variety of food and beverage offerings are diverse. The atmosphere is casual and the coastline was the main attraction.